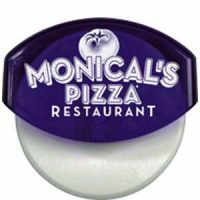 Perfect to cut all those Oven Ready Monical’s Pizzas. You will be amazed at how effortlessly this pizza cutter works. FDA approved removable plastic blade. Top rack dishwasher safe. Durable. Sturdy.